Edmonton landscaping can be challenging when you have a large, flat space. And if you’re a home owner in a new development, chances are your lot is very flat! We’re sharing ways to add design interest and to create the appearance of space by building levels in to your garden. Raised flower beds or pots give height and provide interest to any outdoor space. Ceramic pots and built in flower boxes can be added to a stone patio area or to existing flower beds. Rockland offers various kits and concrete landscaping products by Belgard and Expocrete to easily build your own raised flower beds. Adding plants and pops of colour on your patio and around the yard will draw the eye up and create an aesthetically pleasing outdoor design element. 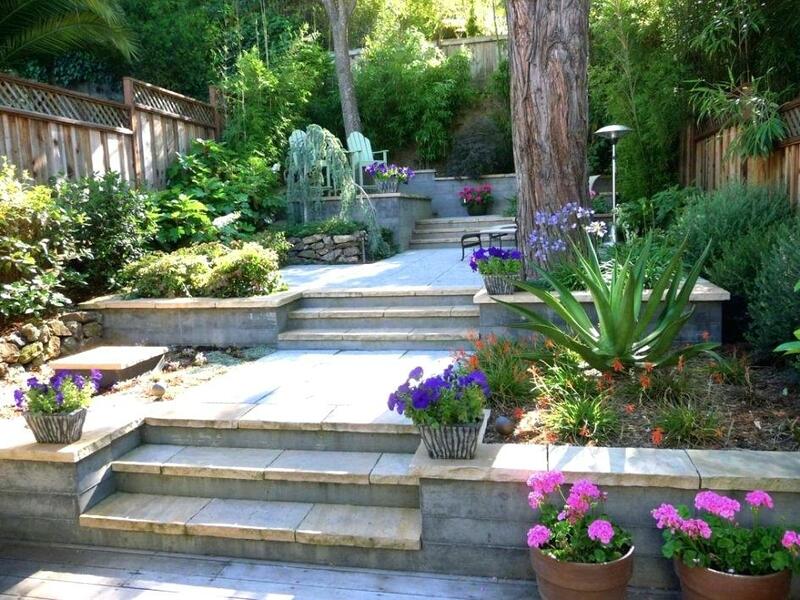 To add levels to a flat backyard, try digging deeper to create a unique, sunken patio area. Sunken patios divide a large yard and give the feeling of cozy, outdoor “rooms”. Whether you’re doing your own landscaping or working with an Edmonton landscape company, drainage will be a key consideration to ensure water does not pool in your patio. Once you identify how large (or small) and where you want the sunken patio to be, consider the overall style and design you would like before choosing your landscaping supplies. If you want to create a subtle upward slope in your garden, a terraced garden is for you! 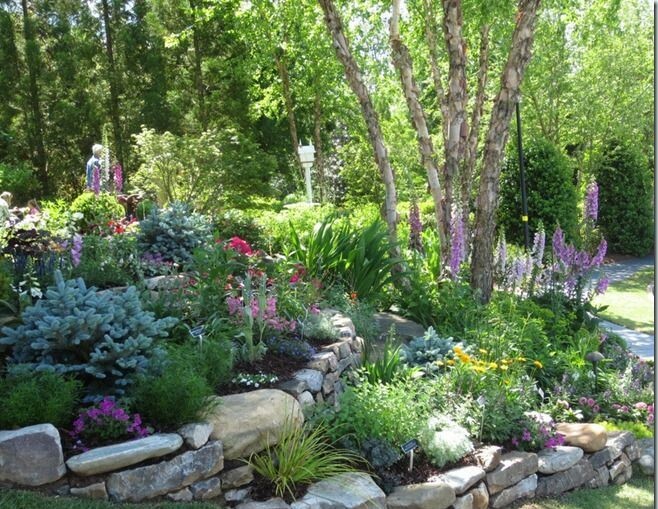 Create a terraced garden using large decorative rocks, boulders, flagstone and/or stacked stones. Adding plants of various heights, sizes and colours including soil and mulch around these layers gives versatility to achieve the exact look you’re going for. 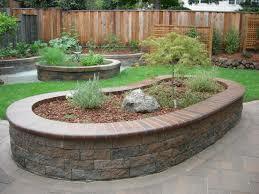 Retaining walls are a beautiful design feature in any yard. They provide privacy and functional design that can either be a focal point or blend seamlessly into the background. 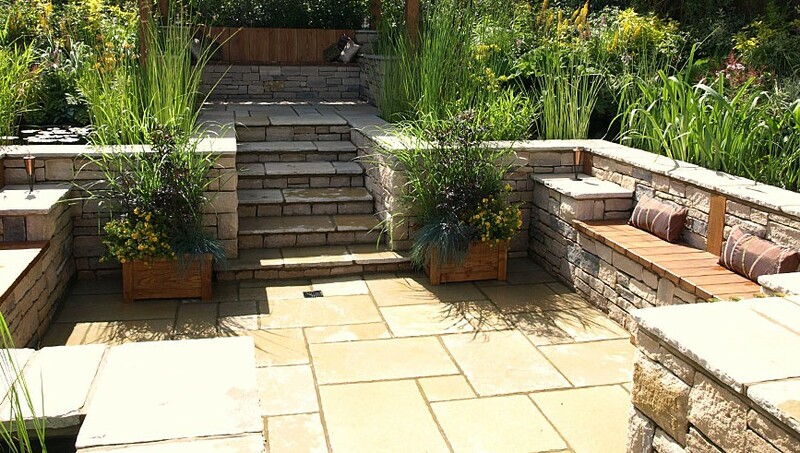 Retaining walls create more levels that can be connected with garden stairs built with flagstone, concrete pavers, concrete slabs, decorative rock, etc. Ask our staff about the various Edmonton landscape products available at Rockland. For questions regarding your landscape plans or about landscaping supplies, please visit us in St. Albert or join our community of gardeners, DIYers and expert landscapers. You'll receive updates about exciting offers, new products and helpful resources. ®™ Trademarks of AM Royalties Limited Partnership used under license by LoyaltyOne, Co. and Rockland Landscaping Supplies Ltd.
© Rockland Landscaping Supplies Ltd.